Whatever you want to photograph, there’s a camera lens that will help you capture the image at its best. 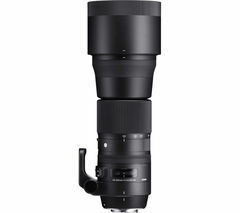 There are multiple mount systems to choose from, from DSLR lenses to CSC. 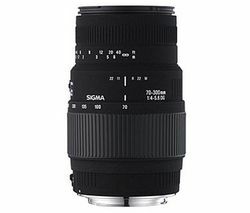 Quality lenses allow you to diversify your photography and take better pictures. From fish-eye to telephoto, camera lenses have been developed for every possible type of photography. Get up close with macro, photograph dramatic landscapes with wide-angle, capture the action with zoom, and long range objects with telephoto. Lightweight travel lenses are designed to slip into your bag without weighing you down, while fish-eye lenses let you create unforgettable images. Having a range of interchangeable lenses at your disposal means you’re capable of shooting perfect images, no matter what. Our lens ranges are compatible with every camera type, including DSLR and Compact System Cameras. All Canon lenses feature Silent Focus to allow you to get close to your subject without making a sound, for natural images. Automatic image stabilisation means you can say goodbye to camera shake and blurred shots. Specialist multi-layer coatings ensure accurate colour reproduction and reduce the flare and ghosting that can be common with digital cameras. For family, sport, travel and nature photos, as well as film-making, versatile camera lenses let you capture crystal clear images of the moments that matter.